Recently I saw one of our former Agape foster children. Zakaria is now a beautiful young woman, poised, self-confident, accomplished. I am thankful for Patrick and Janet Mitchell who so lovingly invited her into their family and their hearts. People sometimes ask me, “Why do you need to raise money?” Agape relies on fundraising to provide the quality of program our youth need and deserve. This includes Master’s level social workers to work with the children. We have enrichment programs such as music, dance and sports, which are fun but also therapeutic. We recruit, train and then support the best possible foster parents. Our social workers are in the foster home every week to be sure the child and family are supported with what they need. We provide intensive training which goes above and beyond minimum requirements. We want our children to have the best! You can be assured that every dollar contributed will be put to good use. Each child, like Zakaria, is important and each donation – large or small – is important. We can’t do our work with abused and neglected children and youth without generous, compassionate donors. @AmazonSmile makes it easy for you to donate so we can touch more foster kids’ lives. All you have to do is shop Amazon through this special link, smile.amazon.com/ch/68-0226944, and a portion of your purchase goes to us. Janet Kleyn, President, Agape Villages, Inc. When we received this little girl, she was scared, terrified, and screamed most of the time. She came with nothing. Agape was on the ball and the next day dropped off a load of supplies. During the next five months, with prayer, Agape’s help, and our amazing Agape social worker, we watched this little girl turn from fear, panic, and anger to loving, nurturing, joyful, and funny. We were on the path to adopt her when her family members stepped up to the plate to adopt her. After the due diligence was done, this little girl was removed from our home and placed with her relatives. However, this lasted only for three months. Unexpectedly, we received another call that they would like to place this little girl back in our home with the intention of adoption. Once again, Agape was amazingly on the ball. They helped make the transition of her back into our home go very smoothly by outfitting her, providing age appropriate toys, and most important to her – a blanket. We could not be the foster parents we are for these children without Agape. We could not provide for these children like we need to without the love and support from Agape. The foster children that have come into our home have all felt the love of their Agape workers and they have returned that love back to them. From our experience, Agape continues to go above and beyond to support their foster families. Thank you, Agape! 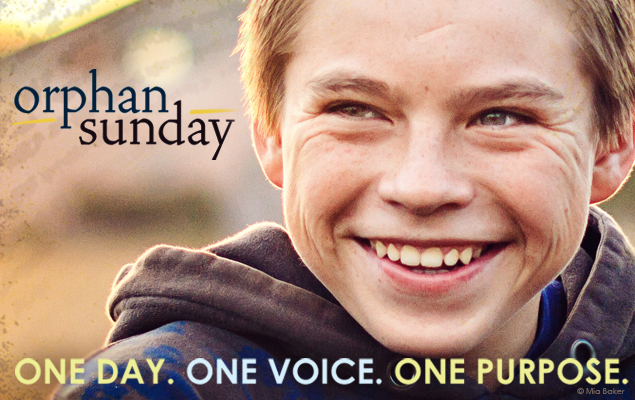 This past week you may have seen an email or Facebook post about Orphan Sunday, which is coming up on Sunday, November 12th. Orphan Sunday was originally inspired by the efforts of a church in Zambia. An American pastor was visiting the church, and sat in awe as people who were struggling themselves all answered their pastor’s passionate call to care for the orphans in their community by bringing forward food and money. Some members of the congregation even gave the shoes off their feet. Orphan Sunday then became a movement throughout churches in Zambia, and was brought to the U.S. by Every Orphan’s Hope (a trademark of the Christian Alliance for Orphans). CAFO (Christian Alliance for Orphans) wants Orphan Sunday to be a local effort, led by individual churches. They hope to see each church discover the best way for their congregation to get involved with addressing the needs of children in foster care and orphanages both here in the U.S. and abroad. Orphan Sunday events vary, for example, events in previous years included special messages on God’s heart for the orphan, prayer gatherings, fasts and simple meals, student-led fundraisers, foster family recruiting and live concerts. A story found on the testimonials page of the Orphan Sunday website details how one church was transformed by its participation in Orphan Sunday. “Clay and Tami joined Emmaus Church in Redlands, CA along with their two daughters adopted from foster care. Tami approached her pastor about doing an Orphan Sunday event and he was very supportive of the idea. The last few years Orphan Sunday at Emmaus Church has involved a message about “God’s Heart for the Orphan” and a panel of adoptive and foster parents. Emmaus Church encourages everyone to participate. Clay relayed a story of a young single man who doesn’t feel he’s in a place to adopt but knows he has a part to play in supporting families who do. Orphan Sunday at Emmaus is one of the largest attendance Sundays of the year. It has grown the church as well, from 2 adopted children in Clay and Tami’s family to over 20 children who have been placed in families from U.S. foster care and international adoption. They even joke that there was a couple who didn’t come on Orphan Sunday because they knew if they did, they’d be signing adoption papers. Turns out they didn’t attend but months later adoption papers were signed! Agape Villages Foster Family Agency would love to partner with any church or other faith-based community that would like to do an Orphan Sunday with their congregation. We can have someone come and speak about foster care in your church’s community, the need for foster families, and ways to get involved. If you belong to a church or other faith community, and would like to participate in Orphan Sunday, please contact Katy Partan at kpartan@agapevillages.org. CAFO has put together a lot of great materials that offer ideas and ways to get involved. 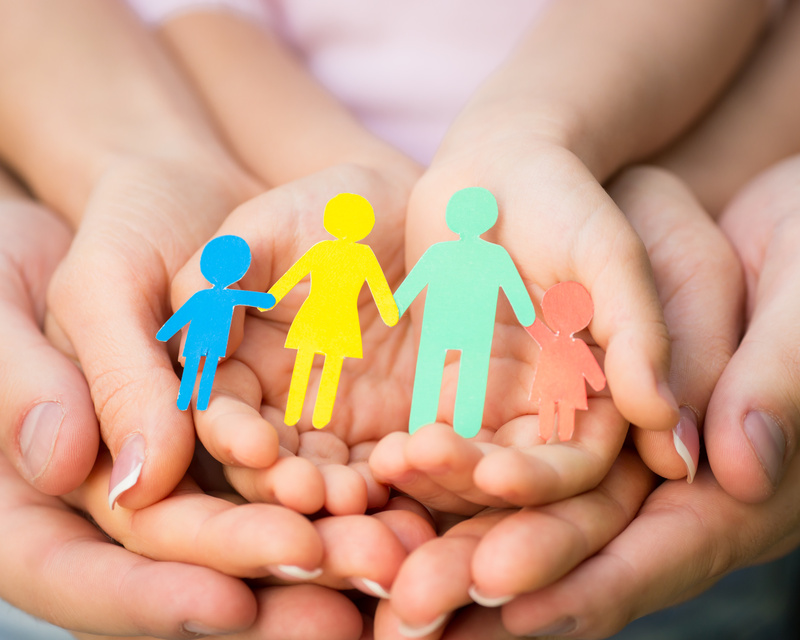 Click HERE to view their resources and suggestions for involvement in the foster care system. Friday FAQ’s: What support does Agape Villages offer? Making the decision to foster or adopt is a process. There are a lot of questions to be asked, and concerns to be addressed. At Agape Villages, we understand your need to ask questions, be heard, and feel supported. This blog series, Friday FAQ’s, is just one more way that we are trying to make it easier for prospective families to learn about fostering and what to expect. A common question people ask is why they should choose Agape Villages, i.e., what makes us different? What can we offer? What support do we provide? Agape’s support for families begins the moment you start the application process. Our staff will walk you through each step and provide personal, one-on-one follow-up as needed. Additionally, Agape prioritizes our children and we strive to ensure that they get to experience childhood as it should be – a time of fun, learning, nurturing, and enrichment. Agape Villages offers several unique programs for our children. Our Enrichment Program offers families reimbursement (up to $50 per month) for various extracurricular activities for our foster kids. Often, foster children are left out of things like team sports, music lessons, and other opportunities simply due to lack of funding. We do not want our kids to miss those opportunities. For girls ages 9-21, we offer our Teen Girls Group, a support group that meets bi-monthly and engages our pre-adolescent and teen girls in a variety of activities. It provides a safe space for the girls and lets them connect with others who have gone through similar experiences. Our Transitional Living Skills program is a semester-long curriculum for teens 15-21 designed to prepare them for independent living after leaving foster care. We cover essential knowledge including interview skills, financial literacy, college applications and financial aid, and more. Finally, to help cultivate a sense of community and fellowship, we offer two annual events for all foster families and their children. One is the Annual Family Picnic at the beginning of summer, which includes food, entertainment, and music. The other is the Annual Christmas Party which includes games, food, and presents for every child. This post is merely a brief summary of the support Agape Villages provides, but we hope it gives you some insight as to what you can expect as a foster family with our organization. We strive to provide the very best programs and services to both our families and our children, with the ultimate goal of having every child in a safe, loving and stable home. Please contact us if you would like to learn more, at 800-566-2225. When entering the world of foster care, it is easy to quickly get lost and confused by the vocabulary and vernacular. Simply trying to figure out all the different types of placements – Out-of-home placement? Kinship care? Relative placement? Fost-adopt? Foster parent? Resource family? – can be completely overwhelming. We know that child welfare, including but not limited to foster care and adoption, is already a daunting system. So we want to make sure if you are considering fostering or adoption, that you have access to tools and information that make navigating this complicated world as easy as possible. Though we won’t be able to cover all the different vocabulary in a single blog post, here’s a link to a glossary of terms, and let’s just start by tackling the most common terminology. Keep an eye out for future posts that will include more information! Here in California, you may start to hear the term “Resource Family” creep up more and more often. Last year, new legislation was passed that designated “resource family” as the new, all-encompassing term for “foster parent” or “foster family”. A resource family can be a relative, a family friend or mentor, or completely unrelated. The term applies to all caregivers for children who are in out-of-home placements (foster placement, fost-adopt, respite care, guardianship, or relative/kinship care). With this new term comes a new, uniform set of requirements. Anyone who wants to foster, adopt, or simply provide respite care, whether they are a relative of the child or not, will need to complete the same approval process. In plain terms, a “resource family” is the same thing as a “foster family”, but as of January 2017 in California it doesn’t matter if you want to foster, or adopt, or provide a home for the children of your cousin who has had them taken away – you will complete the same steps to be approved to have a child in your care. The goal is to provide more stability for children in the system. Still confused or unsure? That’s okay! You don’t have to understand it all; that is why we are here! We will walk you through everything you need to know, step by step. If you have questions about the approval process for becoming a resource parent/foster parent, or are interested in other ways you can support children in foster care, please contact Nina Payne at npayne@agapevillages.org (Central Valley and Sacramento Regions) or Emily Youngblood at eyoungblood@agapevillages.org (Bay Area). Being a foster or adoptive parent is a high calling. You are taking in someone else’s child, caring for them, loving them, providing for them. Do not underestimate the incredible impact you will have. When you start feeling uncertain or overwhelmed, remember the children who are waiting for, and very much in need of, love. Please read the Agape Villages June Newsletter, “The Love Letter,” to learn more about all of the people and programs that are changing the lives of foster children each day! Agape Villages Foster Family Agency is excited to announce a matching gift challenge! A generous donor has agreed to match all gifts made through April 30th; up to $10,000! This means you have an opportunity to double the impact of your donation. Monthly support groups for teen girls living in cities across the Central Valley including Manteca, Modesto, Stockton and Lodi. Donate now by clicking the DONATE NOW button, or by clicking HERE. Agape Villages Foster Family Agency was thrilled and honored to be awarded an Immediate Need grant in the amount of $10,000.00 from the Sacramento Region Community Foundation. Our Sacramento Region Community Engagement Director, Velma Sykes, is very excited to have our services recognized by such a prominent foundation in the Sacramento area. While our foster family agency has always been actively working in the Sacramento region and surrounding areas, we are looking to significantly grow the number of foster families and children served in these areas. There are more than 2,300 children in foster placements in Sacramento County alone at any point in time, and more are being placed every day. With this new grant, we hope to garner other sources of support in Sacramento so that we no longer have to turn down the referrals we receive on a weekly and sometimes daily basis. You can help these efforts by telling friends, family, and coworkers about the opportunity to become a foster family and make all the difference in the life of a child. Please contact Velma Sykes at vsykes@agapevillages.org to inquire about others ways you can get involved.